Chicken with rice, vegetables and gravy. We used our stainless steel AMC Classic frypan to 'fry' the chicken breasts - which allows us to cook our food without adding any water or oils/fats. 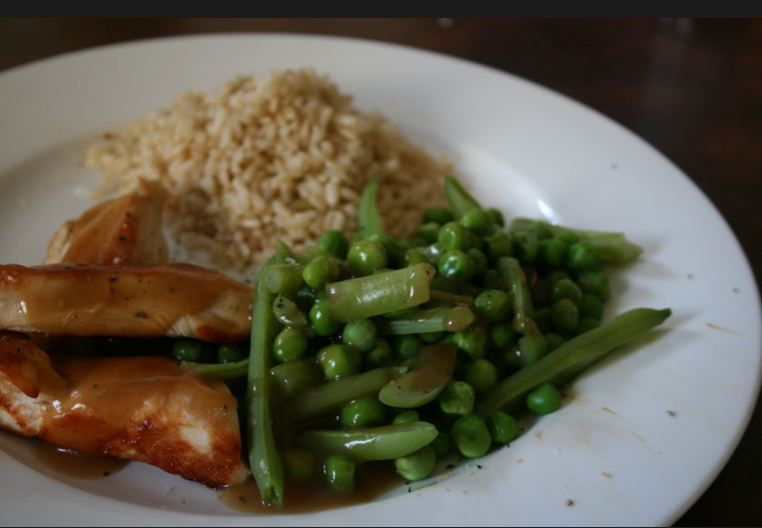 I also added some cooked brown rice and boiled peas. Lastly, gravy, I added gravy. Gravy would have to be my favourite sauce of all time - I don't care if it is chef made or made from powder in a box mixed with hot water. I love all of it. Another 15 minutes on the treadmill - walking at an incline.